Social Media Marketing is an extremely valuable and cost effective marketing tool to add to your marketing toolkit. 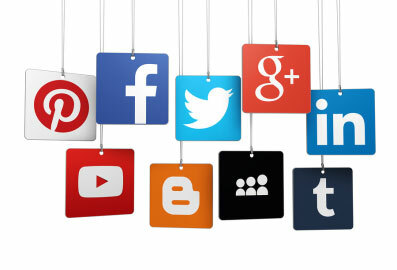 With Social Media, you can build your brand, online exposure and presence, and a valuable patient following. Though creating a Facebook or Twitter account for free is fairly easy, most businesses miss out on the professional skills to reach out to thousands of prospective patients who might just be one “Tweet” or “Like” away! We can help provide the professional touches that makes your social media marketing a success. With our professionally experienced Social Media Marketers you get an edge over others when you sign up for our Social Media Marketing package. We have something for everyone – starting from setting up an account to show a mere presence, a few messages a week, right through to actively engaging with your prospective patients daily and establishing you as an authority in your area of operation. A little monthly investment can ensure you reach out to people who are looking for you and have them engage in your services. We welcome you to contact us to find out more on how you can benefit from our range of services! When we design a social strategy, we discuss your business goals with you and keep them in mind. We discuss your requirements and see how your team can actively participate in making your social strategy a success. Based on your goals and target audience, we will suggest to you, the platforms and the plans that are most suitable to achieve your goals and generate a real ROI on your social spend. A good social strategy calls for planned content distribution and engagement. Our Social Media experts will work with you to find out what matters most for you, your team and your audience to put together a content calendar that can ensure every penny spent is well-targeted and well-utilized. We love data and we know how to make it work for you. Our Social Media reporting structure ensures you can see where your social strategy stands, and how we can steer it to optimize results. Our team will help you identify industry influencers and future brand advocates, helping you build a passionate fan base that is active and regularly shares your content across their circle of friends. Posting and engaging with your audience is one thing, establishing credibility and managing online reputation is another. Over the years we have realized that our clients want to have the peace of mind to know that their online reputation is being well-managed and their positive reviews are being highlighted on social networks. We have got that under control for you making sure you are always ahead of the conversation, ready to contribute whenever you need to. Let us comb the social networks for you, so you can focus on the job you do best. Advertising on social networks is a great way to reach out to the targeted audience and generate interest in a new product. We can manage your social ad campaigns and work with you to get the best for your buck invested in Twitter, Facebook, LinkedIn or Instagram, to name a few. Studies have shown that an increasing number of online customers are likely to research your brand on Social Media channels before they make a purchase from you, or decide to use your services. They will read reviews and feedback from other patients, as well as your own updates, to determine if you are trustworthy. Therefore, if you don’t have a credible presence through business pages and accounts on social networking sites, you are missing out on engaging active patients! Social Media is gradually becoming the preferred way for businesses to engage with their customers and to encourage random communication. Whether it’s a simple query or canceling an appointment, many people of all demographics are taking to Social Media to communicate. As a business, you have the advantage to engage with patents in multiple ways: answer questions, provide support for problems, and even reach out to potential patients who may be interested in your products and services. Having a business page on Social Media also gives you an opportunity to drive traffic to your website and convert leads. Create and market content that will work for you and your team. Proactively engage with users to foster new relationships and encourage them to make purchases, or recommend your product and services to others. Okay, Now I’m Sold. How Do I Get Started?